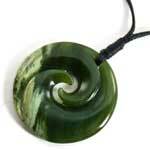 A wonderful piece of Raukaraka Greenstone greenstone from the Greymouth area of the south island of New Zealand. 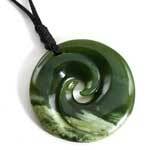 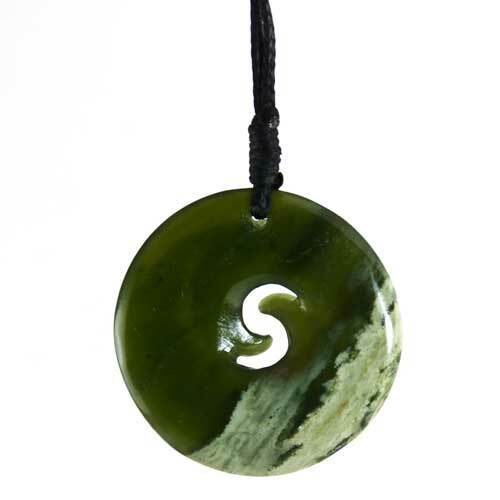 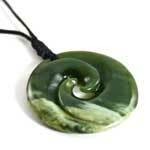 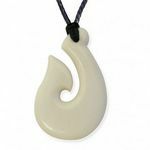 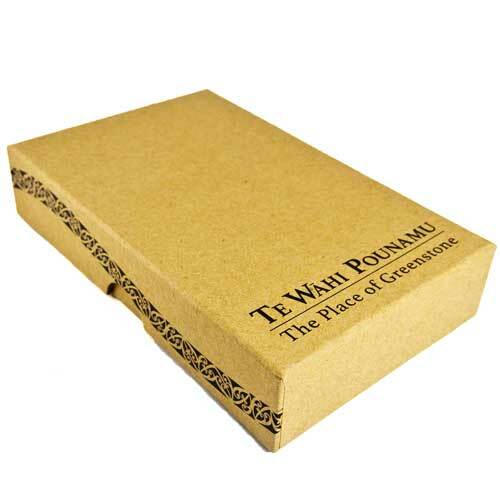 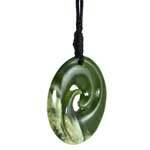 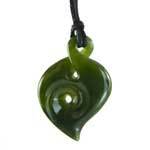 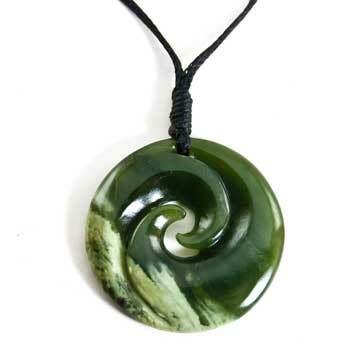 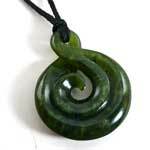 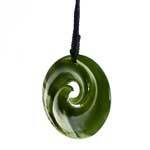 This pendant is a traditional Koru. 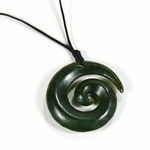 The Koru has been inspired by the unfurling fern frond, however in a spiritual sense the Maori use the Koru to represent peace, tranquillity, personal growth, positive change and awakening. 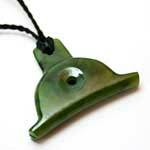 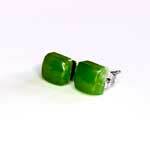 Measures 33mm (1.3 inches) Diameter.